For thirty years, Kelly Sutherlin McLeod Architecture, Inc. has provided full architectural services from the initial conceptual design through construction and administrative phases. The firm has designed and directed a wide range of projects involving the adaptive reuse of existing buildings, historic preservation and rehabilitation of significant structures. Encompassing high profile operations and intimate design studies, the firm’s notable body of work has garnered numerous design, architecture, and preservation awards. Each project and client is unique and our design solutions are specially tailored to each particular need and design challenge. 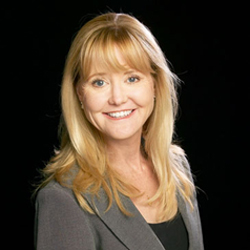 Kelly Sutherlin McLeod, FAIA, founded her Long Beach-based firm in 1988. A graduate of the USC School of Architecture, she is a fellow of The American Institute of Architects and a member of the Urban Land Institute, the Association for Preservation Technology International, the California Preservation Foundation, the USC Board of Counselors, and a lifetime member of the USC Architectural Guild. She is a former member of the Board of Directors, Vice Chair of Advocacy, and a Heritage Associate at Pasadena Heritage. She also serves as a member of the Redevelopment Agency Board, the Economic Development Commission, and the Cultural Heritage Commission for the City of Long Beach. The first female recipient of the prestigious Gamble House Scholar-in-Residence program, Kelly resided in the House during her senior years as an architectural student at USC. This unique experience had a profound influence on her professional focus and approach to practicing architecture. Kelly served as the Project Architect for the nationally-recognized conservation of the Gamble House, completed in 2004. (The Gamble House Conservation Project team has developed a permanent website devoted to the conservation that shares the story in greater detail. For more information, visit www.gamblehouse.org/conservation). The Conservation project has been recognized by the Los Angeles Conservancy and the California Preservation Foundation; and the American Institute of Architects California Council. Kelly has been priviledged to work on other distinctive Charles and Henry Greene projects, notably the Tichenor, De Forest, Jennie Reeve and Pitcairn houses. Her creative design concepts not only address the special needs of historic preservation, revitalization and renovation but also encompass new construction and adaptive reuse projects. With a commitment to architectural integrity, Kelly embraces the challenge of seeking harmony between the old and the new and meeting the present-day needs of her clients with creative and innovative design solutions. Kelly Sutherlin McLeod, FAIA, serves as principal-in-charge/project architect and provides personal attention to every project and all design work produced by the company. She oversees and manages work produced by her staff and consultants. In her working style as a “hands-on architect,” she believes that no detail is too small to be overlooked. The firm comprises a diverse and specialized team of talented professionals, including architects, interior designers, production staff members and administrative support personnel who assist Ms. McLeod with project management, design development and technical production services. Kelly Sutherlin McLeod Architecture, Inc. is a California Corporation and a woman-owned business. Our distinctive design process begins with the belief that understanding our client’s unique needs and objectives ensures a strong project with optimum results. Kelly Sutherlin McLeod Architecture, Inc. creates a collaborative environment for all our clients by bringing together knowledgeable teams of professionals to provide innovative architectural solutions for even the most complex design challenges. Clients are invited to participate as an integral part of the critical decision-making process, to ensure a shared vision with specific goals and clearly defined project parameters. Every project benefits from essential planning stages focused on information gathering and research, resulting in an informed conceptual design. This dynamic process includes vital interaction with our clients every step of the way.